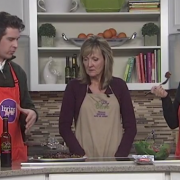 Melanie Cedargren of The Spicy Olive visited The Fox 19 Morning show to share some Spring recipes featuring the March Flavors of the month: Strawberry balsamic vinegar and Garlic olive oil. 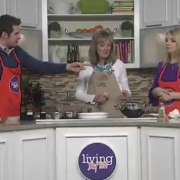 Melanie Cedargren of The Spicy Olive was cooking with Zach and Julia on Feb.26, 2019. March Flavors of the Month, Strawberry Balsamic vinegar and Garlic olive oil, were featured in the recipes. These varieties of olive oil and balsamic vinegar will be 10% off the month of March! 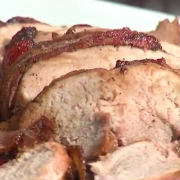 Strawberry Bacon Wrapped Pork Tenderloin and a delicious Strawberry salad were the featured recipes. 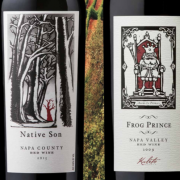 We selected some of our favorites that are also affordable! 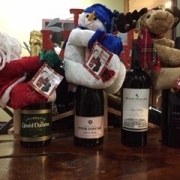 Come taste the Gold with us! And MARK your calendars for Feb 22 & 23 and March 1 & 2! 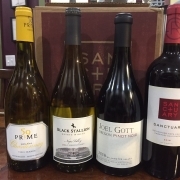 We are tasting affordable GOLD MEDAL winners from the Cincinnati Wine Festival! 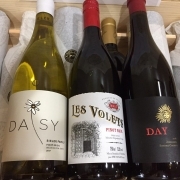 You can taste & purchase before the wine festival which is the following weekend, March 8-10! Use a slow cooker to melt dark chocolate morsels, whipping cream, our Blood Orange olive oil and some vanilla. 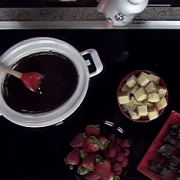 After 20-30 minutes stir to create a silky, decadent chocolate fondue. Assemble fruit such as strawberries, raspberries, bananas, cubes of brownies, angel food cake or pound cake, cookies or marshmallows to dip in the fondue and enjoy! 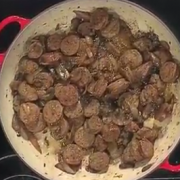 Melanie Cedargren, owner of The Spicy Olive, was on The Fox 19 Morning show on Jan. 22, 2019 and prepared a delicious yet quick and easy pasta meal. This recipe is perfect for cold, busy nights because it is hearty yet healthy and can be ready in 20-30 minutes! 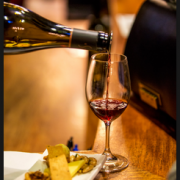 Wine Tastings at The Spicy Olive every Thursday and Friday 4-7 pm and Saturday 3-6 pm.